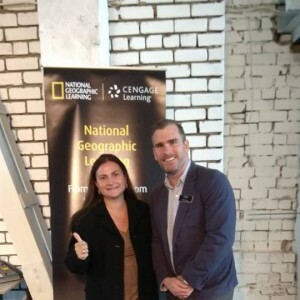 Cучасні технології навчання англійської мови відповідно до Концепції "Нова українська школа"
“This is why I loved digital media images: if you used it right, it could give you power and privacy.” Cory Doctorow Technology(digital media images)can be a great asset in English teaching classrooms, offering authentic writing, reading activities and endless resources on grammar instruction, vocabulary, lesson plans, tests and other central topics. 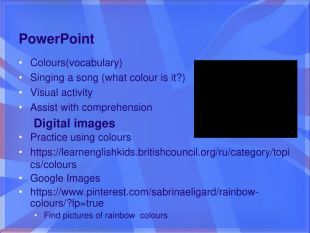 Useful tool for the classroom teacher. 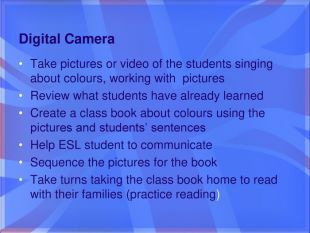 Tool to support. 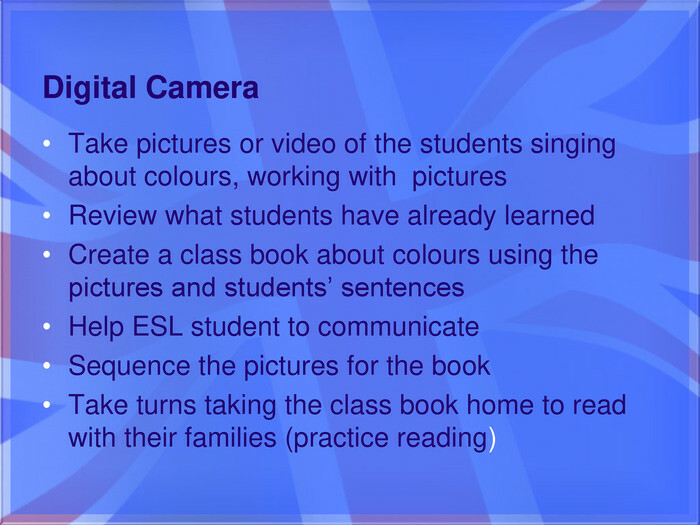 Enhance learning experience Can facilitate second language instruction. 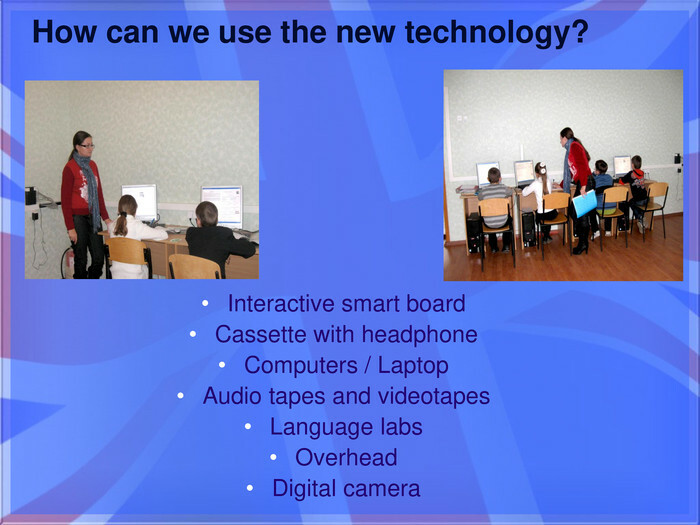 Provides students interactive learning experiences. Ways to make life easier. 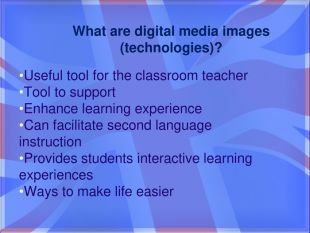 What are digital media images (technologies)? Conclusions1. 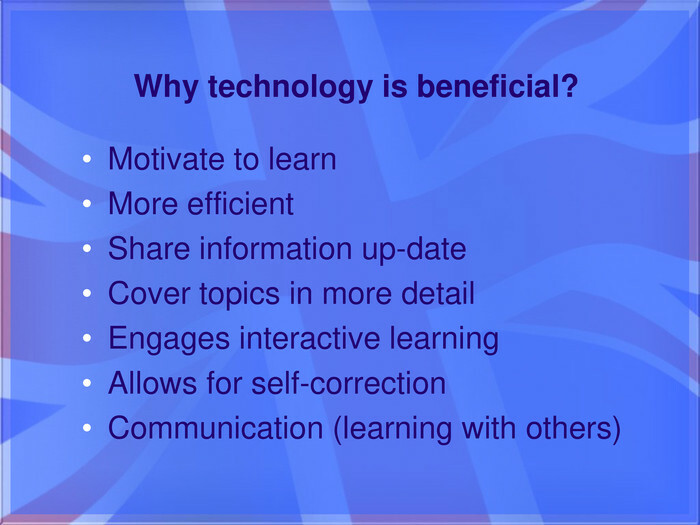 XXI century teachers need to use technology effectively to prepare students for the information and communication age, that includes for learning a language. 2. 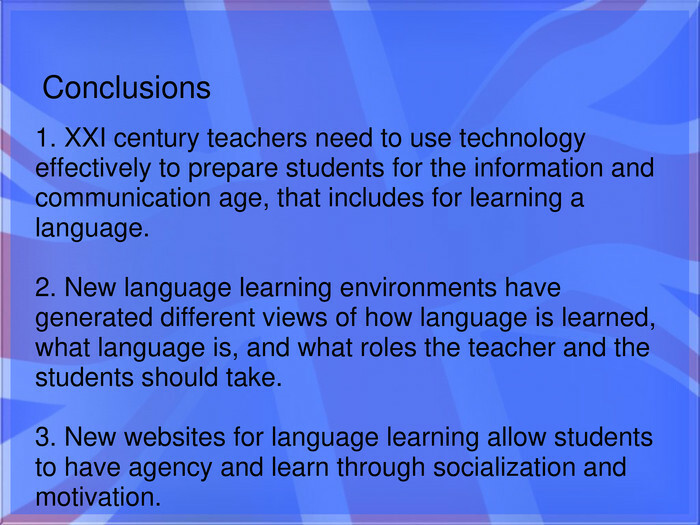 New language learning environments have generated different views of how language is learned, what language is, and what roles the teacher and the students should take. 3. 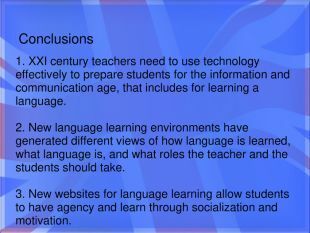 New websites for language learning allow students to have agency and learn through socialization and motivation. References. Bagui, S. (1998). 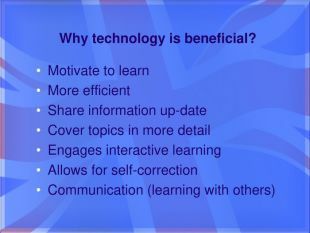 Reasons for increased learning using multimedia. 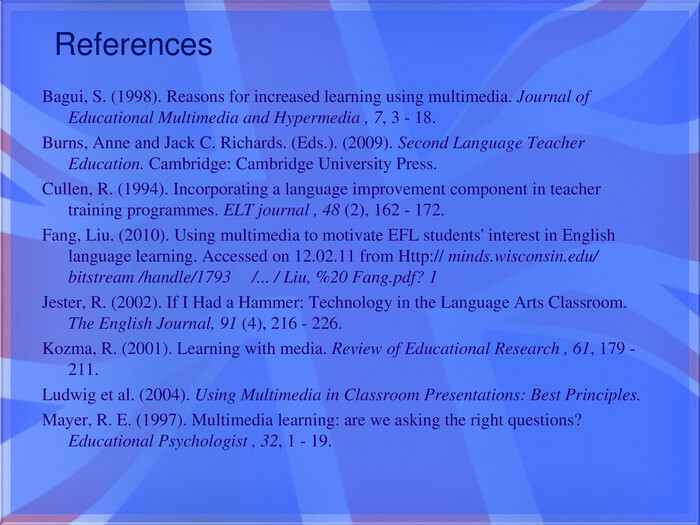 Journal of Educational Multimedia and Hypermedia , 7, 3 - 18. Burns, Anne and Jack C. Richards. (Eds.). (2009). 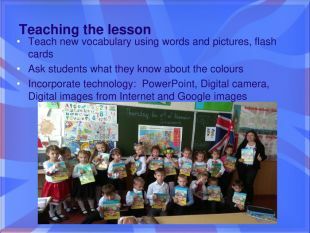 Second Language Teacher Education. Cambridge: Cambridge University Press. Cullen, R. (1994). Incorporating a language improvement component in teacher training programmes. ELT journal , 48 (2), 162 - 172. Fang, Liu. (2010). 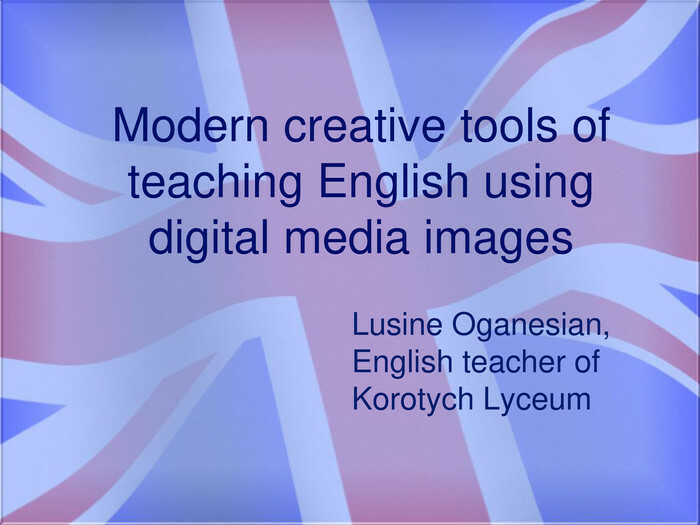 Using multimedia to motivate EFL students' interest in English language learning. Accessed on 12.02.11 from Http:// minds.wisconsin.edu/ bitstream /handle/1793 /... / Liu, %20 Fang.pdf? 1 Jester, R. (2002). 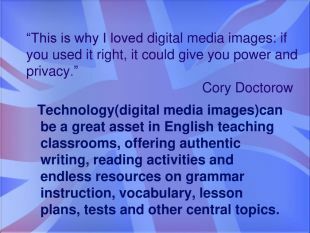 If I Had a Hammer: Technology in the Language Arts Classroom. The English Journal, 91 (4), 216 - 226. Kozma, R. (2001). Learning with media. 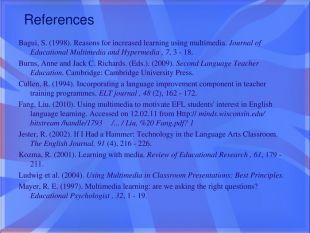 Review of Educational Research , 61, 179 - 211. Ludwig et al. (2004). 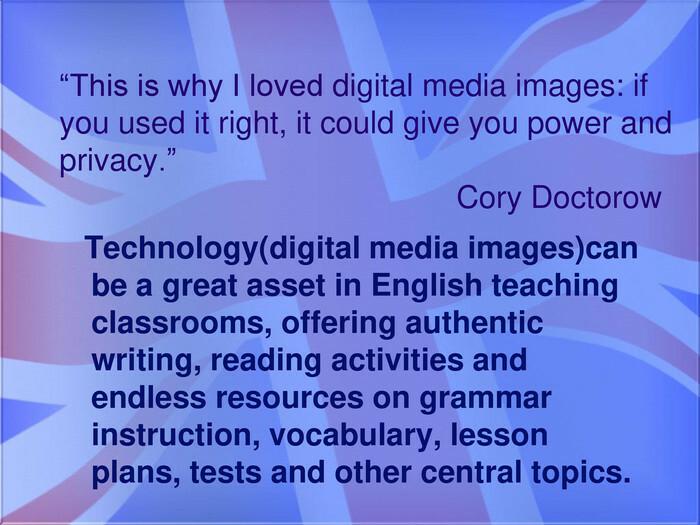 Using Multimedia in Classroom Presentations: Best Principles. Mayer, R. E. (1997). 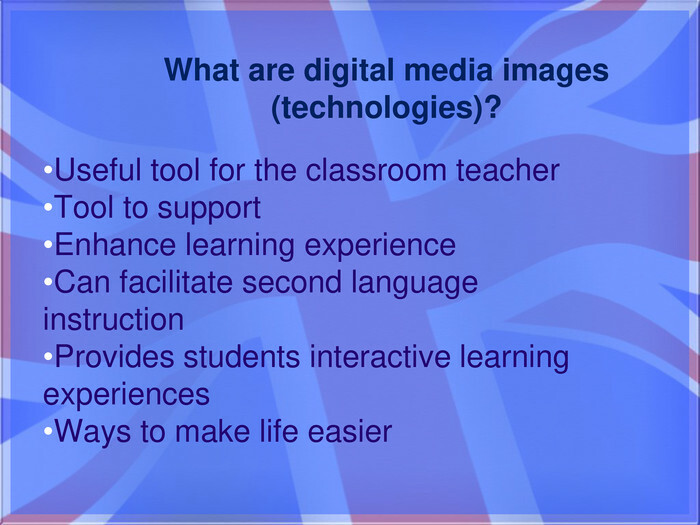 Multimedia learning: are we asking the right questions? 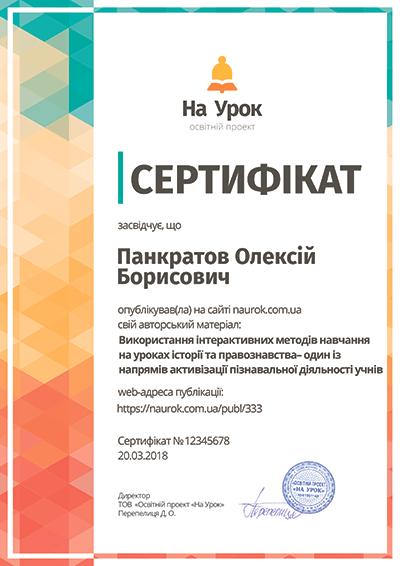 Educational Psychologist , 32, 1 - 19. 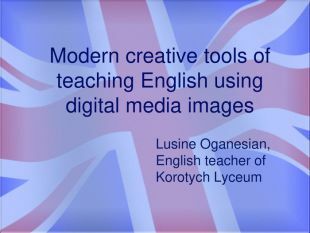 Урок "Travelling into Magic English"
Англійська мова 1 клас Урок Unit 5"Lunchtime"
Конспект уроку з англійської мови для 1 класу "Favourite Colours"
Презентація до уроку з англійської мови у 1 класі "Favourite Colours"
Розробка уроку для 1 класу "At the zoo"
Сценарій позакласного заходу з англійської мови у 1 класі "ABC party"